Air pollution of particulate matter (PM), especially PM2.5, has become a major public health problem in China. Exploration of therapeutic and preventive measures against PM2.5 toxicity is of practical significance. The aim of this study was to examine the inhibitory effects of chitosan oligosaccharides (COS) on PM2.5-induced lung inflammation in rats. Forty SPF (specific pathogen-free) male Wistar rats weighing 200–220 g were randomly divided into four groups: control group, COS group, PM2.5 group, and PM2.5+COS group. COS was pre-administered to rats by gavage at a single dose of 500 mg/kg 2 h before intratracheal instillation of PM2.5 at a single dose of 1.2 mg/kg daily for 3 consecutive days. Normal saline (NS) was used as negative control. Twenty-four hours after the last instillation of PM2.5, rats were sacrificed and subjected to bronchoalveolar lavage (BAL). The BAL fluids (BALF) were collected for measurement of levels of total proteins, lactate dehydrogenase (LDH), interleukin-1 (IL-1β), IL-8, and tumor necrosis factor-ɑ (TNF-ɑ) using colorimetric or ELISA kits. Levels of total proteins, LDH activities, and pro-inflammatory mediators including IL-1β, IL-8, and TNF-ɑ in BALF of rats in PM2.5 group significantly increased in comparison with those of the control group. Pre-treatment of rats with COS markedly blocked PM2.5-induced increase in LDH, IL-8, and TNF-ɑ levels in BALF. In conclusion, PM2.5 exposure induces rat lung inflammation, which could be ameliorated by the pre-treatment of COS.
Yingzheng Zhao and Guangcui Xu contributed equally to this work. Weidong Wu designed the study and revised the manuscript. Yingzheng Zhao and Guangcui Xu conducted the experiments. Shouying Wang drafted the manuscript and analyzed the data. Xianwen Yi participated in the design of this project and revised the manuscript. All listed authors have read and approved the final manuscript. 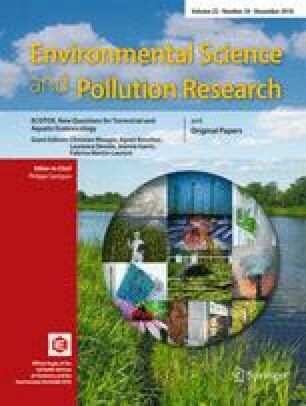 This study was funded by the National Natural Science Foundation of China (81573112; 81373030; 81370916), the Henan International Collaborative Laboratory for Air Pollution Health Effects and Intervention, and the Basic and Frontier Technology Research Grant of Henan Province (144300510055). Animal use and care procedures were approved by the Institutional Animal Care and Use Committee of the Xinxiang Medical University strictly in accordance with the Guidelines of Xinxiang Medical University for Animal Experiments.